(Newser) – A Florida teenager who has been missing since Labor Day may have witnessed a murder a week before he vanished, according to a newly surfaced police report. 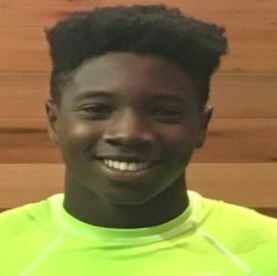 The report seen by the Herald-Tribune states that 14-year-old Jabez Spann was leaving a home in Sarasota on Aug. 28 at the same time three men chased Travis Combs, 31, into a vacant lot and shot him dead. The police document states that Spann said: "Oh my God. Y'all shot him." Spann, who attended a candlelit vigil for Combs, was last seen at a family barbecue Sept. 4, per ABC 7. A $25,000 reward is being offered for information on his whereabouts, and relatives have been pleading for help finding the boy and getting "closure." The Combs murder is still unsolved. I guess no one he may need some protection for being a witness to a murder. I guess he just went on as usual. Sad how little fourteen year old life matters.